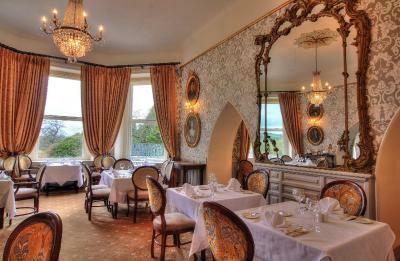 Lock in a great price for Cabra Castle Hotel – rated 9.1 by recent guests! 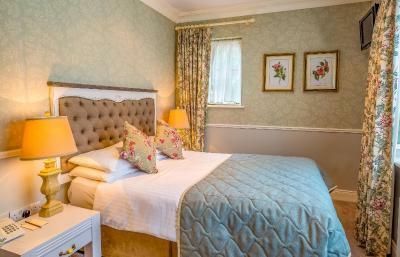 The room was spacious and perfect to fit a travel cot, the hotel has lots of accommodation options, plenty of seating to cope with lots of visitors and great staff! The chateau was beautiful. The grounds were amazing. We enjoyed eating dinner at the hotel. Spectacular castle and grounds! 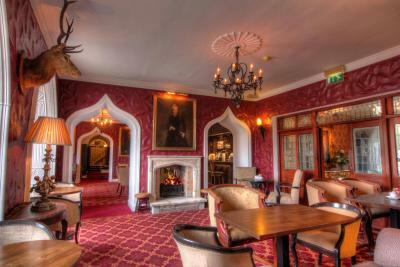 If you want a castle experience while in Ireland this is the place. Great value. Nice accommodation,friendly staff, beautiful breakfast, also liked the fact it was very easy to book online, all very straightforward and option to cancel without penalties, really enjoyed it! Amazing breakfast. A great place to unwind and relax. 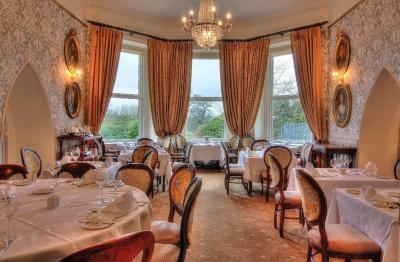 This was our second stay at Cabra Castle. We stayed here for our 25th anniversary and returned this time with 6 friends. 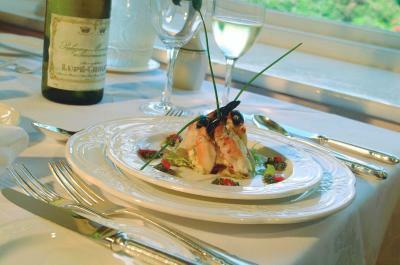 The property is beautiful, rooms are clean & spacious, and the staff is very helpful. Meals are delicious with generous portions. 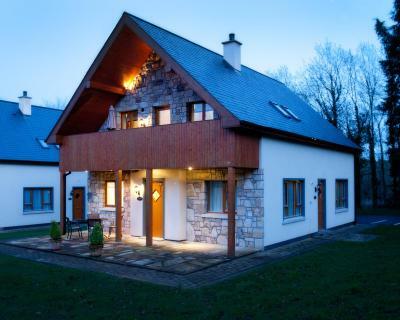 If you like the idea of staying in a castle while in Ireland, this is the place for you! Big, fancy castle with friendly staff. Delicious food! Stay here. Wow. No words, so much history and so beautiful. Like you're traveling back in time. Stay and make sure you have time to eat there and enjoy the I'll experience! The vegetarian dinner options at the restaurant were delicious! 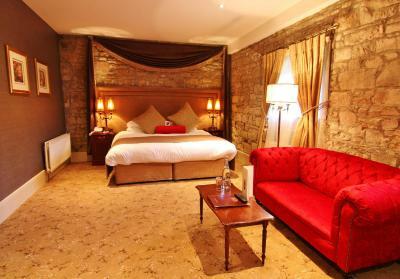 Cabra Castle Hotel This rating is a reflection of how the property compares to the industry standard when it comes to price, facilities and services available. It's based on a self-evaluation by the property. Use this rating to help choose your stay! 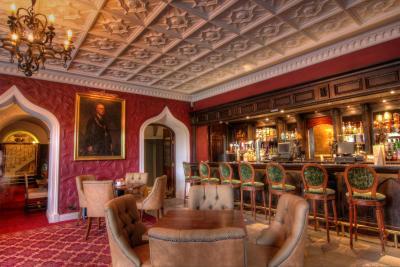 The Cabra Castle Hotel was built in 1760 and has high ceilings, grand staircases and historic hallways. 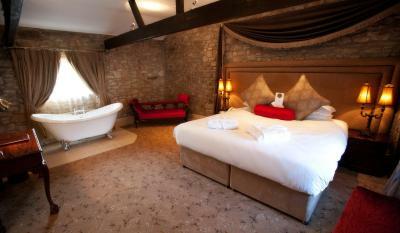 The rooms have individual style and mix original furnishings and historic features with modern comforts. 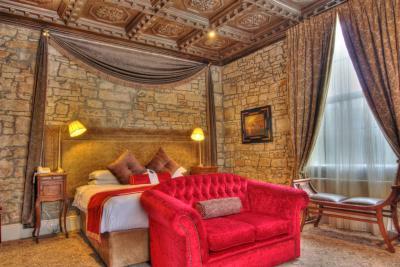 All rooms have private bathrooms, telephones, tea/coffee and satellite TV. 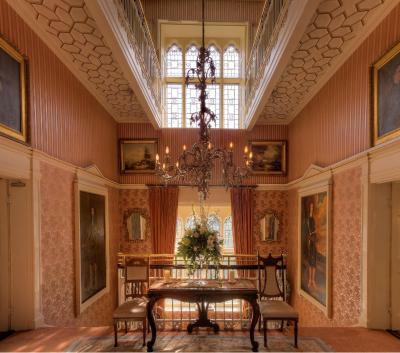 Some rooms are in Cabra Castle and some are in the converted 17th-century courtyard buildings. There is a bar and a restaurant serving fresh, local food. 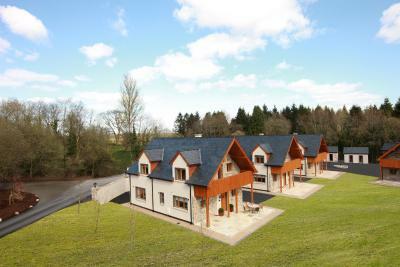 The hotel's patios and terraces have views of the surrounding countryside. Dublin Airport is an hour drive away. 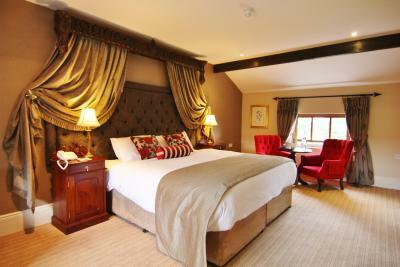 When would you like to stay at Cabra Castle Hotel? 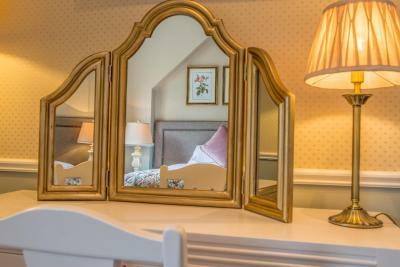 The bedrooms are a splendid collection of carefully designed and well equipped guest rooms with generous space and comfort to ensure that you can enjoy a relaxing evening's rest. 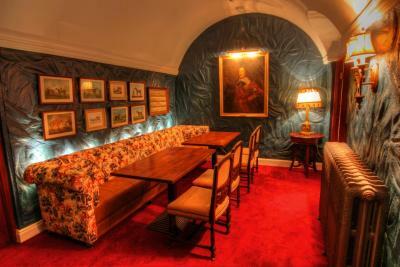 These homey rooms are in the hotel grounds, a short walk from the castle. 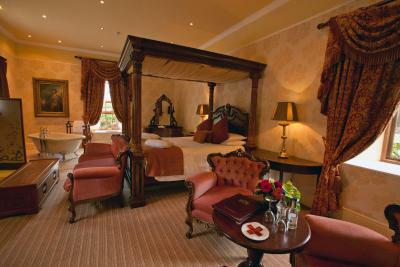 House Rules Cabra Castle Hotel takes special requests – add in the next step! 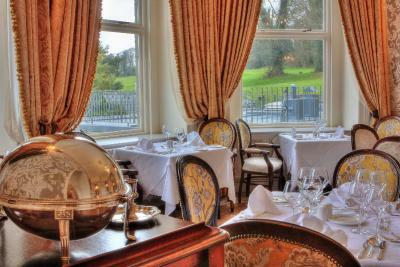 Cabra Castle Hotel accepts these cards and reserves the right to temporarily hold an amount prior to arrival. Lovely place for a wedding. Food amazing. Breakfast plentiful. Grounds are beautiful for a walk. Nothing was to much trouble. 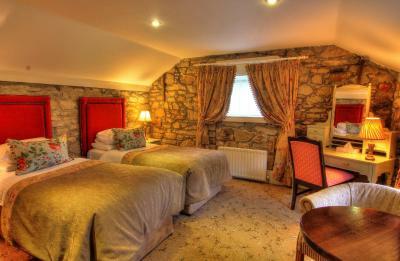 Staff very friendly, excellent service lovely food .Rooms very spacious.Beds excellent Great nights sleep . Walking to lodge in the rain. Bar food and breakfast very good.